Last year, yesterday, I wrote a blog post called pay attention (thanks FACEBOOK for telling me!). Yesterday (this year) I had another “pay attention” moment. At the moment I am in Costa Rica, it is 6:45am, and I am waiting to eat breakfast that starts at 7. Yesterday, the group of world changers I am with decided to go white water rafting. We got all signed up, strapped up, and then trained up to prepare ourselves for the crazy waters ahead. Our guide taught us some commands like: “forward” meaning we all paddle forward; “lean in” meaning there are rocks nearby and we should lean into the boat lest we fall out; “get down” means there is extremely turbulent waters and the whole crew needs to get in the boat and weather the storm until it passes; finally, he told us the commands for the various sides like “left side back, right side forward” meaning we need to somehow turn the boat to maneuver it down the river. This was all very adrenaline pumping and while we were thinking about our safety and listening to the commands, I realized I was paying no attention to anything else going on around me besides the people in my boat. As soon as we encountered some peaceful waters, I had to intentionally remind myself to look up and remember where I was-in COSTA RICA-and enjoy the beauty that surrounded me before the next Rapids engulfed my mind. After this amazing rafting experience, I was reflecting on how much my life is like white water rafting in many ways. Between a full time job and ministry, grad school, a serious relationship and managing other relationships with family and friends among countless other things, my life often feels like one rapid after another. Managing the boat, steering in the right direction and screaming “forward!” to the rest of my soul. In those times, I have little time or energy to enjoy my surroundings and rest. Like the peaceful times in the raft, I need to intentionally remind myself of where I am and often who I am, in the moments when I can rest and relax. 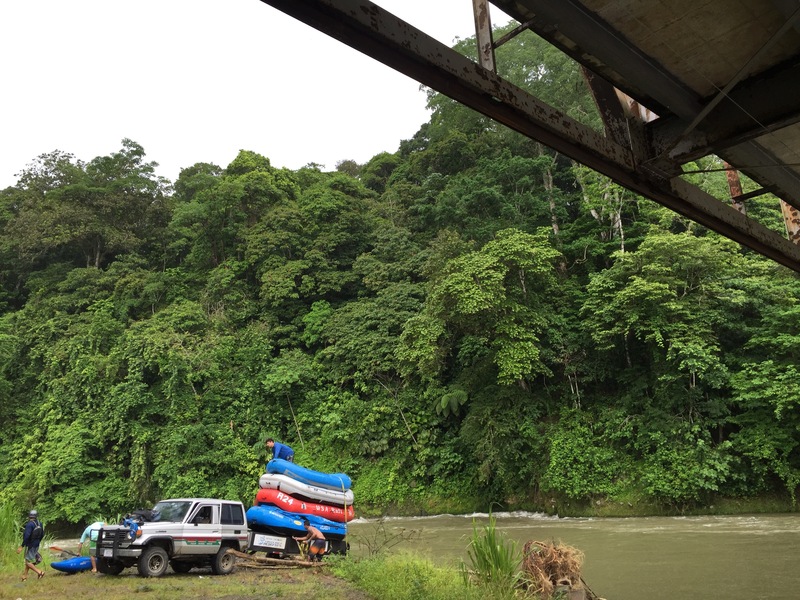 It wasn’t until those calm spots on the river when I truly started to recognize and embrace that I was rafting in Costa Rica with my friends and we were working together so well to navigate the waters. The last command our guide constantly shouted at us was “STOP!” Where we stopped paddling forward or doing what we were doing to just ride the river. While I am experiencing my time of rest and fun in Costa Rica, I want to make the most of it and enjoy it to the fullest! However, I now will take back this little piece of wisdom to “pay attention” when I stop. I hope you can do the same, wherever you are!